The microgrid-energy storage pairing is increasingly common, so it’s interesting to note that the U.S. energy storage market just had both its best quarter and best year of all time. The U.S. deployed 112 MW of energy storage capacity in the fourth quarter of 2015 — higher than all storage deployments in 2013 and 2014 combined — bringing the annual total to 221 MW. This, according to the GTM Research/Energy Storage Association’s U.S. Energy Storage Monitor 2015 Year in Review. Propelled by the historic quarter, says the report, the U.S. energy storage market grew 243 percent over 2014’s 65 MW (86 MWh). The utility segment (“front-of-meter”) continues to be the bedrock of the U.S. energy storage market. In 2015, front-of-meter storage accounted for 85 percent of all deployments for the year. While much smaller, the behind-the-meter market — the residential and non-residential segments — grew 405 percent in 2015 with Hawaii and California in the lead for the residential and non-residential segments, respectively. What lies ahead? GTM research forecasts the annual U.S. energy storage market will cross the 1-gigawatt mark in 2019 and by 2020 will be a 1.7 GW market valued at $2.5 billion. Today, more utilities are considering storage along with an assortment of traditional and non-traditional assets to meet reliability, capacity and system upgrade needs. The recent renewable tax credits extension is expected to further boost energy storage as more storage paired with renewables will be deployed, according to the report. 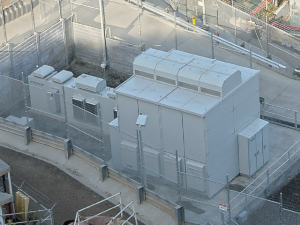 The U.S. deployed 111.8 MW of energy storage in Q4 2015, which was higher than deployments in 2013 and 2014 combined. The U.S. deployed 221 MW of storage in 2015, up 243 percent over 2014. Installed system prices for utility projects for energy applications to be completed in 2017 will be lower by 29 percent versus 2015, and for power applications, the prices will be lower by 25 percent. GTM research forecasts that the annual U.S. energy storage market will cross the 1-GW mark in 2019 and by 2020 will be a 1.7 GW market valued at $2.5 billion. In 2015, front-of-meter storage accounted for 85 percent of all deployments for the year. 20 state markets had energy storage policy activity in 2015, up from 10 states in 2014. 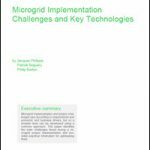 In Western Australia, Energy Minister Mike Nahan announced that Western Power would contribute $300,000 towards a feasibility study to develop a microgrid for the Kalbarri community, where power outages due to windborne salt and dust are common. The smart system would be able to reverse power flows overnight when stored energy was insufficient to meet demand, and to disconnect from the larger network should a fault occur. Some 2,000 customers are served by the 140-kilometer network between Geraldton and Kalbarri, and the town has a seasonal energy daily peak of 3.7 MW. The Kalbarri microgrid is likely to source both solar and wind-generated power. The electricity supply from the national grid in Nigeria is grossly inadequate relative to demand, and it does not even reach many rural communities. AllAfrica.com reports that a 24-kW solar microgrid has been commissioned to help boost the power supply for a rural community in the Kaltungo Local Government area of Gombe State, Nigeria. It is expected to produce sufficient solar energy for each household to contain an LED light bulb, one electric fan, one radio, a TV and mobile phone charging. The project is funded with the Bank of Industry, which reportedly provided a sum of N44 million (~$221,000) with an interest rate of 7 percent for 15 years, in collaboration with the United Nations Development Programme (UNDP).